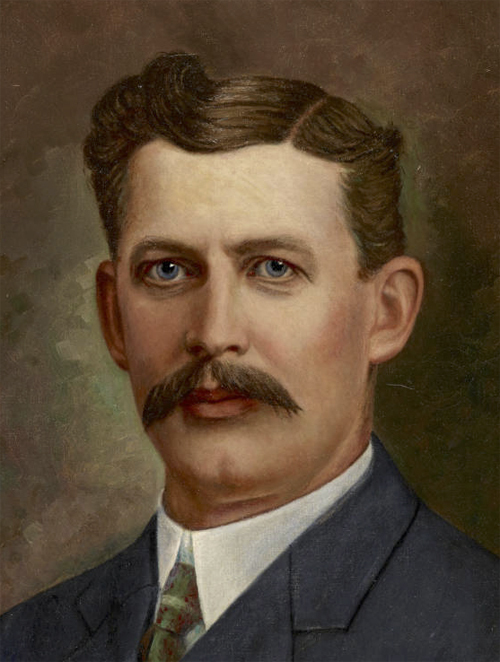 After two years of a Democrat in office, Duluthians elected Republican Roland D. Haven as mayor in 1908. Haven had been born in Sudbuty, Vermont, in 1866. He apprenticed as a carpenter and moved to Northfield, Minnesota, in 1883 for a few years before taking a job in a St. Paul window sash and door factory. Similar work brought him to Duluth in 1889. He left Duluth in 1894 for Watertown, Iowa, to become superintendent of the Cedar Valley Manufacturing Company, but he was back in the Zenith City by 1897, working for the Stevens Tug Company. In 1902 he entered into the real estate business and met with considerable success, but that didn’t stop the restless Haven from becoming superintendent of the La Dow Implement Company. The Republican was first elected as alderman in 1900 and reelected two years later, serving as council president during both terms. In 1908 he was elected mayor. When he left office, he told the Duluth News Tribune, “I’ve given the city the best I have while in office. The mistakes I made were ones that would arise in any administration I am sure I gave the people my best efforts. I want to thank both the press and the public for their many acts of kindness.” When asked what he would do after leaving office, he said, “I haven’t made up my mind.” When he did make up his mind a year later, Mr. Haven and his wife Belle—along with both their mothers—left Duluth for New Mexico and stayed there the rest of their lives.